What do you think of my Father’s Day present? My golf secret is revealed in this week’s poem. It contains a tip that your won’t get from your golf pro. Recite two or three more! It works for me. Let me know how it works for you. But remember, it only works for golf poetry! 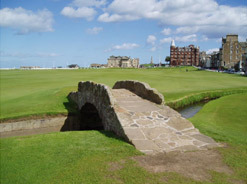 Continuing on the theme of opposites in golf (see the previous Post and others in the Blog), this poem considers some opposites at the Old Course. You won’t see any trees. Take heed if you’re out after dark. Then in the opposite way. Is “hit it thin” and that is that. And watch the ball in perfect flight. I have posted other opposites poems. 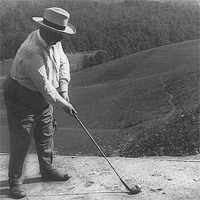 To see them click on the category “opposites in golf” in the right hand column.